That's it folks now until Christmas - bank holidays done and dusted. Now for the long slog until the Christmas break, here's hoping you all had a great long weekend. August Bank holidays for me are synonymous with getting out of London for a country jaunt, for the last few years we've been to Dorset and to Norfolk. Always to the coast in the vague hope of spending a day on the beach but every year our beach dreams are spoilt by the rain. So this year we decided to stay home and just have a couple of day trips. A bank holiday wouldn't be a bank holiday without a Village Fete, or a country fair, so this year we went off to Little Easton, a few miles from Saffron Walden. Sure enough the rain was torrential on M11, especially galling after we'd left beautiful sunshine in London, so of course no wellies had been packed for any of us, do we ever learn? So we parked up in a field, mentally preparing ourselves for battling through the mud in our very inappropriate footwear, but it wasn't too bad actually and we soon forgot our woes when we realised the fair was set up in and around the idyllic village, craft stalls filled the barns and marquees with classic fire engines lining the road that lead into the village. We started off with a visit to see the animals - pigs, rabbits and Alpacas which were definitely our favourite. 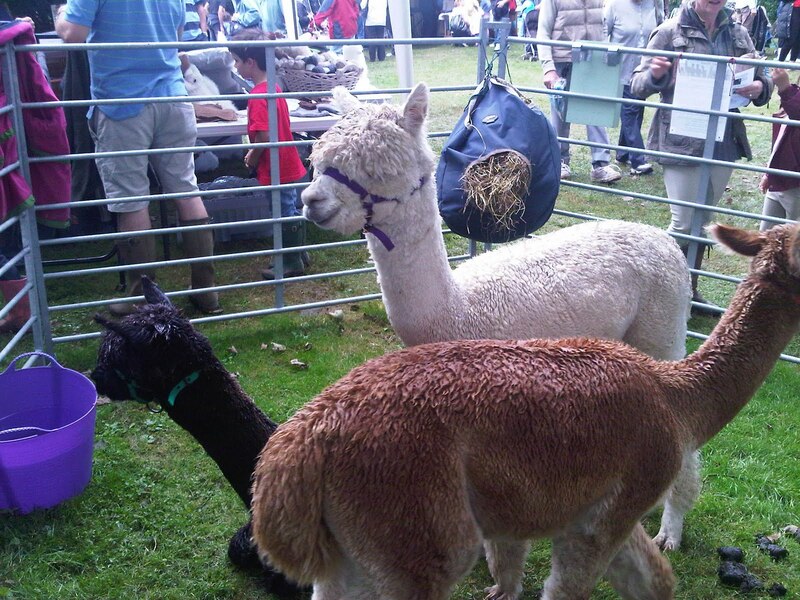 I'd never felt anything made with Alpaca hair - oh my it was so soft, feels just like cashmere but slightly cheaper, I was very tempted to get Matilda an Alpaca teddy bear but I think it would have been more for her Mummy to cuddle up to! How cute are these little fellas? 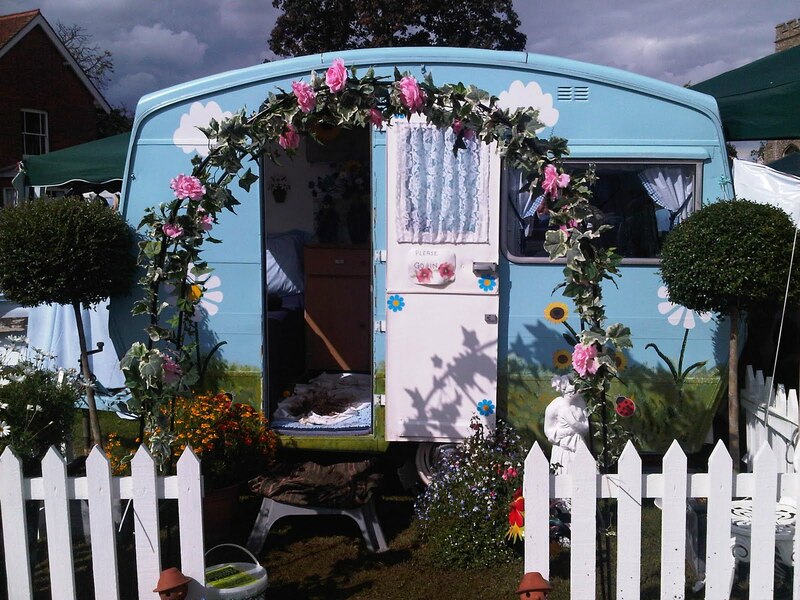 This caravan was the sweetest sight I saw all day, beautifully decorated in in blue and white with sunflowers decorating the walls inside! Blue and white gingham curtains and table cloth completed the perfect picture of cuteness. 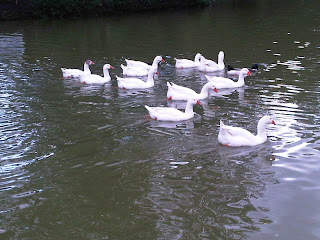 The ducks and the swans were also out for the occasion having fun and showing off to their admirers. 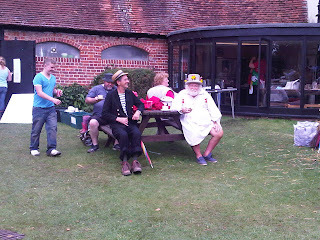 And where else would you get two such characters but at a quintessential English Country fair. 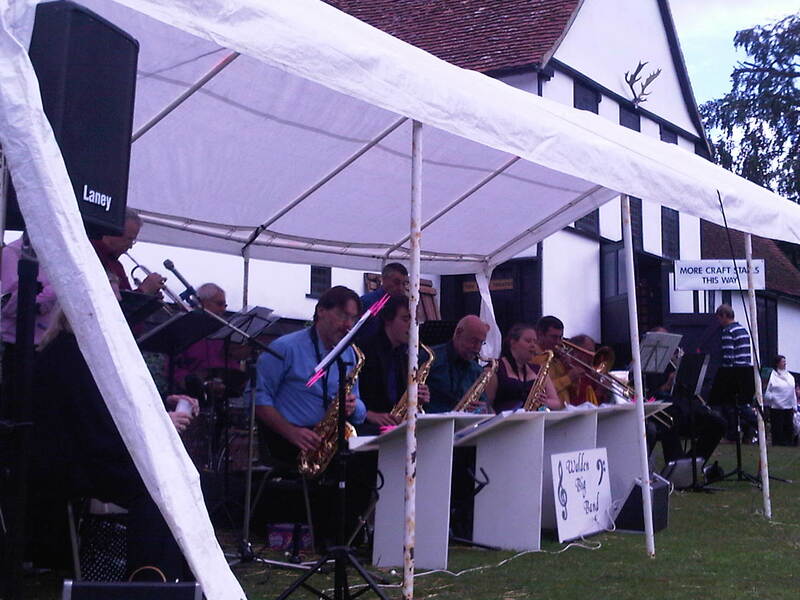 The Walden Big Band entertained the crowds with their singer Iris playing 1940's classics a perfect back drop to tea and cake on the green. A large selection of Classic Cars were also on show and there were some beauties there as you can see below, I especially fall in love with the Rolls Royce's. 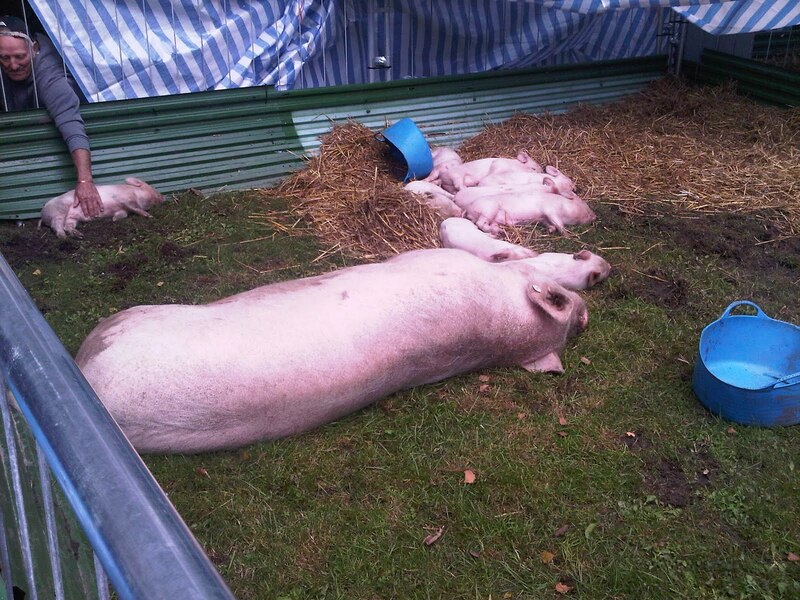 Despite the several threats of rain everyone was in very jolly spirits eating, drinking, taking part in the races and the children were loving the bouncy castle and slides. 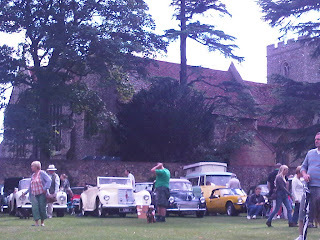 The Dog Show proved extremely popular too there seemed to be hundreds of them preened and ready to be applauded. I for one love a perfect English Summer Fair, we're at our best when we hang the bunting up, bake some Victoria Sponges and play some cricket on the lawn whilst listening to Big Band Music. This weekend has definitely been one of nostalgia for me as the Summer sun slowly gives way to Autumn skies.